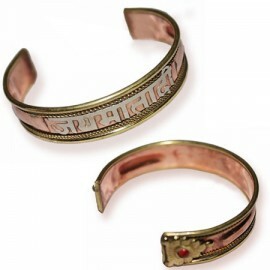 Bracelet made in copper with 'Jai Mata Di' inscribed on it.This is the mantra to invoke the blessin..
Bracelet made of 3 satvik metals: Copper, Brass and White metal. Copper and brass can dest.. 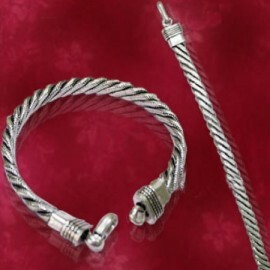 Designer pure silver bracelet for your wrist. 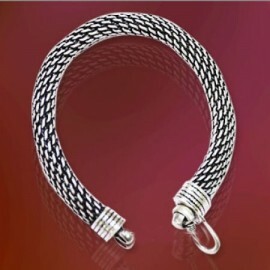 Thick silver links are joined together to form this br.. 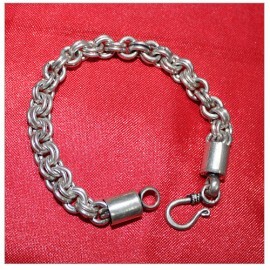 Thick chain bracelet in pure silver.You can wear it as a plain jewelry. Design: Made of pure silv.. 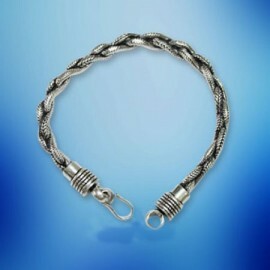 Thick Pure Silver bracelet with oxidized finish. You can wear it as a plain jewelry. Design:.. 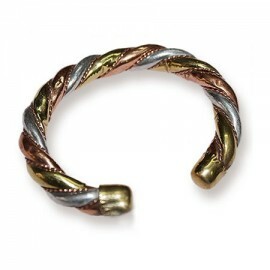 Thick bracelet in pure silver with oxidized finish. You can wear it as a plain jewelry. Length: 7..